It looks like you are using an out of date browser and this may cause unexpected behaviour and/or display issues. Update your browser for more security and to ensure the best experience on this site. Do you sell on Trade Me? My Products is our free bulk listing tool that helps you run your business more smoothly by automatically managing your listings. You can choose to send out automatic FPOs the minute your listing closes. Quickly add, rename or delete folders to more easily manage your products. 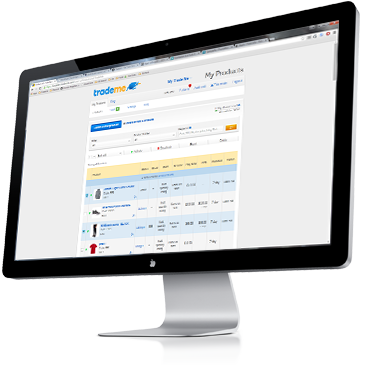 Set a price or item threshold that buyers need to reach to qualify for free shipping. At no extra cost, you can specify when you'd like your listing to close. We'll make sure there is always one auction running for each of your products. You can easily create products or update existing products by uploading a CSV file.